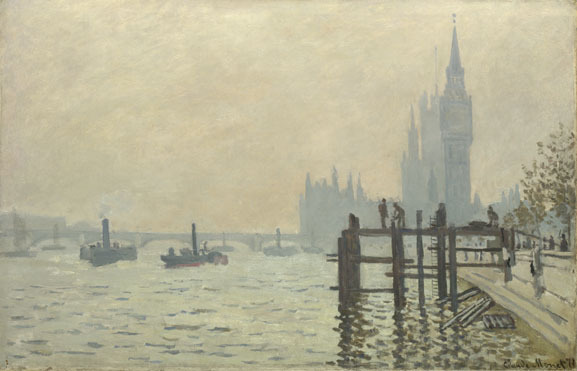 Claude Monet, The Thames below Westminster, 1871. The Industrial Revolution marked a new chapter of history: New technologies were emerging, populations were burgeoning, and the looks of cities were changing. Although economies were blossoming and cities were bustling, the surge of industrialization gave rise to a modern phenomenon: pollution. 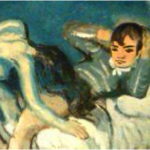 From fascination to repulsion, let’s take a look at the artistic take on this topic. Futurism celebrated all things technology and modernity: the metropolis was the Futurists’ haven. 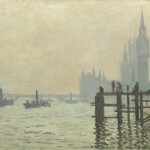 Their environment was one of war and technological advancements, which led artists to take a very violent, aggressive and forceful approach towards their work. 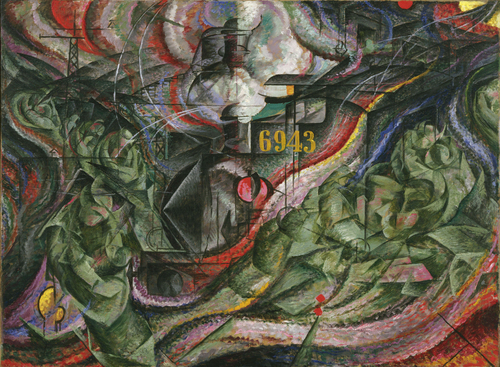 To Boccioni, the steam from the trains and the exhaust from the automobiles were not threats to health nor to the environment, but symbols of movement and progress. Umberto Boccioni, Sates of Mind I: The Farewells, 1911. 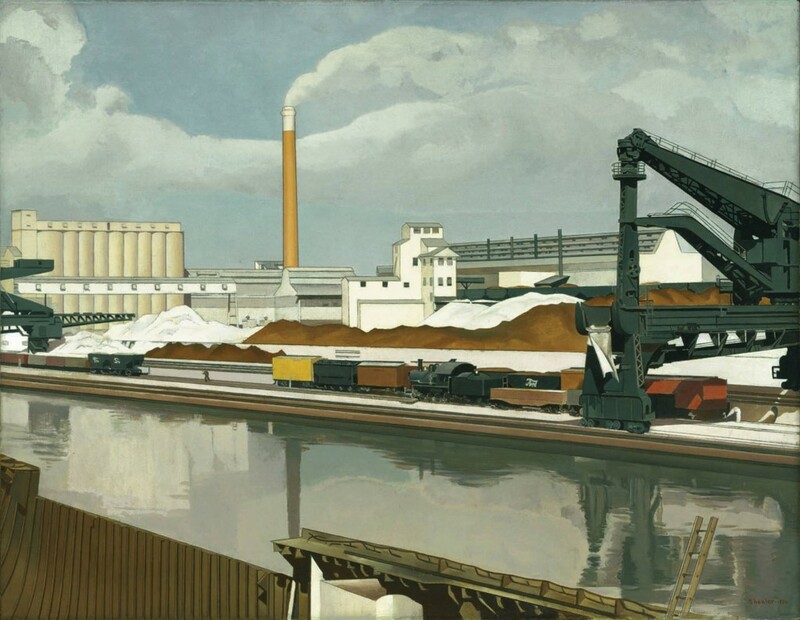 Sheeler, associated with Precisionism, drew upon Futurism and Cubism to capture the grandeur of American industrial life. The idyllic representation of the Ford Motor Company Plant near Detroit, is a celebration of industrialization’s creation of a new, lucrative American landscape. The lack of human presence in this image highlights technology’s supremacy in the modern environment. Charles Sheeler, American Landscape, 1930. Spiral Jetty — a 1,500 feet long and 15 feet wide coil made from black basalt and earth — was created by Smithson in a red-colored, polluted section of the Great Salt Lake that had been cut off from fresh water supplies 1959. This site-specific work is part of Earthworks, a movement linking art to the landscape it is produced in. The dependence of the work on the surrounding environment parallels human dependence on nature and highlights the importance of living with the earth instead of forcing yourself upon it. 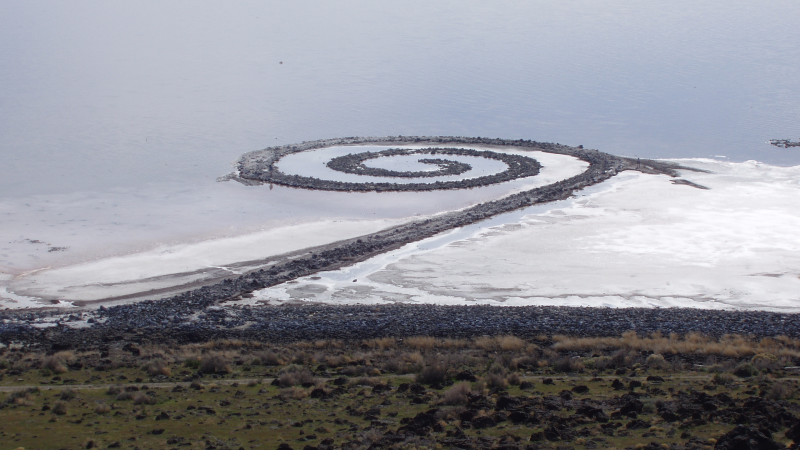 Robert Smithson, Spiral Jetty, 1970. As seen from above. 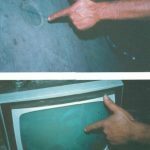 With 172 governments and 2,400 representatives of NGO’s in attendance, the 1992 Earth Summit held in Rio de Janeiro was an unprecedented event in the history of UN conferences. The challenge at hand? How to stop the damage of our planet due to pollution and the overconsumption of finite natural resources. Robert Rauschenberg was not only an artist but an environmentalist who believed that each living individual has a responsibility to protect mother nature. He created this work to raise awareness about the UN summit and to illustrate the struggle to simultaneously accept what we have done to this planet and to hope for a better future. 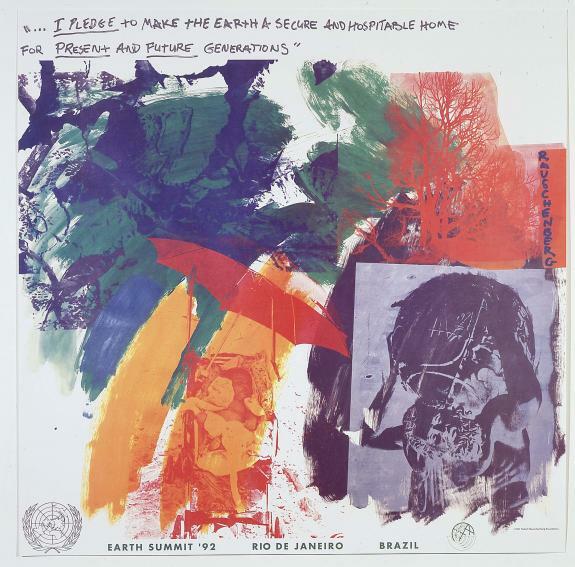 Robert Rauschenberg, Last Turn—Your Turn [print for Earth Summit ’92 the United Nations Conference on Environment and Development, Rio de Janeiro, Brazil] 1991. 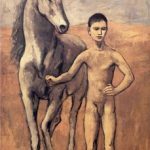 What are your favorite art works on this topic? Let us know in your comments! This entry was posted in Enviromentalism and tagged enviromental art, Monet, pollution, Rauschenberg on April 22, 2015 by wpuser.